In analyzing Franz Kafka's "Investigations of a Dog," Sacvan Bercovitch explains that the dog's reading of the world is governed by his context. He says, "Kafka's story is a great parable of interpretation as mystification--facts marshalled endlessly to bulid up contexts whose effect, if not intent is to conceal or explain away" and reveals "the limitations of cultural critique. "1 When we try to construct and explain our world, we are hindered by the contexts we find ourselves in. Our thought hinges on many factors that we cannot escape. The need for a rethinking of scholarly methodology may not be apparent at first--after all, Kafka's dog seems to get by (albeit with certain crises). However, we need to recognize the complications involved in relying too heavily on existing paradigms and methodologies. Paradigms and methodologies can be very effective tools to use, but they always pose the danger that they will use us. These intellectual foundations can tend to limit the flexibility of our thinking, and hinder the development of new ideas because we can become governed by a type of thinking and search only for the answers to those specific questions. Several stories elucidate these problems. The first of these examples comes from Marco Polo's misidentification of the rhinoceros as a unicorn. On his trip to China, Marco Polo was looking for unicorns. 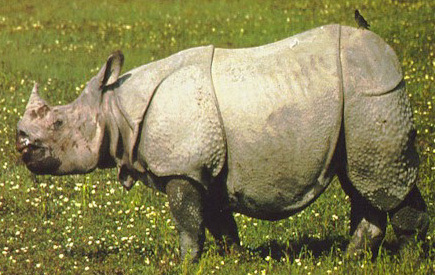 When he came across an animal he had never seen or heard of before--a rhinoceros--he assumed the animal was a unicorn, because it roughly fit his conception of what a unicorn should look like by having a horn on its head. It was easier for Marco Polo to make his discovery fit the world he believed in than it was for him to reconceptualize the contents of his world. Umberto Eco explains, "He was unable to speak about the unknown but could only refer to what he already knew and expected to meet. "2 Marco Polo was bound by his objectives--he believed he could only have found what he was looking for. In this example we see paradigm as a dictator of thought, rather than as an enabler. Eco adds, "We cannot say Marco Polo lied. "3 The concern here is not the correctness or wrongness of Marco Polo's thinking; in his world-view, he was right. We must note, instead, the limitations of relying on the consensus construct of research and accumulation of data. 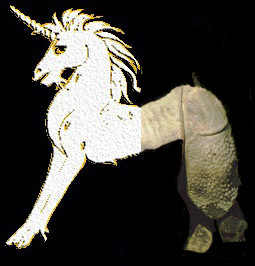 Marco Polo could have seen that the rhino did not fit descriptions of the unicorn. He could have employed a knowledge of his immediate context to see a flaw in his conception of the world. Had he done so, his reports back to the West would have been markedly different. 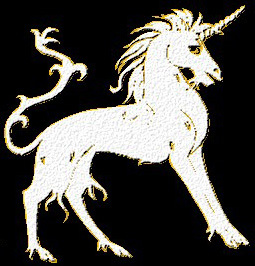 The reports would not necessarily have been more accurate (Marco Polo had updated the descriptions of the unicorn), but they would have opened the door to different types of mental explorations and allowed the development of more complex constructions of the world. Thomas Kuhn reports our second example in The Structure of Scientific Revolutions.4 He describes an psychology experiment in which test subjects tried to identify playing cards. Some of the cards had been given the wrong color. For example, the six of spades was red and the four of hearts was black. The test subjects could usually identify the cards quickly, but did not notice the changed colors, and many of the people felt very uncomfortable looking at the unusual cards. The subjects were often unwilling or unable to realize the switch. Even though they could identify the suit, they could not understand what the card actually was. The experiment reveals a danger of sticking to stringently to current consensus paradigms. When we see something that does not fit our pre-existing notions of the world, we tend to try to fit that something into our beliefs, rather than opening a new conception. Kuhn describes much scientific research in a way that we can apply to most modes of research: "a strenuous and devoted attempt to force nature into conceptual boxes supplied by professional education. "5 There are inherent limitations in this straining, reductive sort of knowledge gathering. Eco describes these informing conceptions as "background books," and suggests that we know "in advance what we are on the verge of discovering. "6 We carry with us a sort of programming--established through cultural, professional, and other means--that predisposes us to certain discoveries. More important, this programming can be highly influential in determining our interpretations of discoveries. Most people, I believe, accept that they have this programming in them, but they seldom act on the consciousness of that knowledge. 1Bercovitch, Sacvan. The Rites of Assent: Transformations in the Symbolic Construction of America. New York: Rutledge, 1993, p. 3. 2Eco, Umberto. Serendipities: Language and Lunacy. Trans. William Weaver. New York: Columbia University Press, 1998, p. 55. 4For a description of the experiment see Kuhn, Thomas S. The Structure of Scientific Revolutions. 3rd ed. Chicago: The University of Chicago Press, pp. 62-65.